Shaolin Kung Fu is an excellent art of self-defense. It also increases health and vitality and can even lead to spiritual enlightenment. Shaolin Wahnam Kung Fu is taught according to traditional training methods. An essential aspect of this is building a strong foundation. As in the Southern Shaolin Temple, the basic program lasts 2-3 years and focuses on improving and increasing health by way of building up one's own chi (energy). 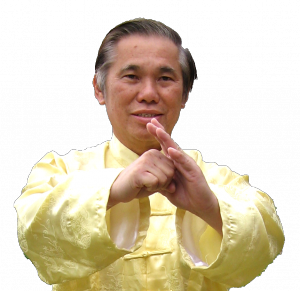 This is done with "stance training” (zhang zhuang), "golden bridge" (ding kam kiew) and "one finger shooting zen" (yi zhi chan). The basic program also includes the basic forms of the five animals as well as their attacks and defences. The five animals include the tiger, leopard, crane, snake and dragon. Training not just the form, but the internal aspect and application. This helps develop strength, courage, speed, fluidity, balance and structure. The basic program includes many partner forms in which the proper timing and spacing for attack and defence is practiced. Forms are of course part of Shaolin Wahnam Kung Fu. These include ancient forms from the Southern Temple such as "Crossroads at the Four Gates" or "Shi Zi Si Men Quan”. It is much more important, however, to master practical application rather than to learn many forms, because the forms were created as a result of combat experience so that common combat situations could be practiced without having a partner. It is not the other way around. Theoretical forms were not first created and then later tested in combat. 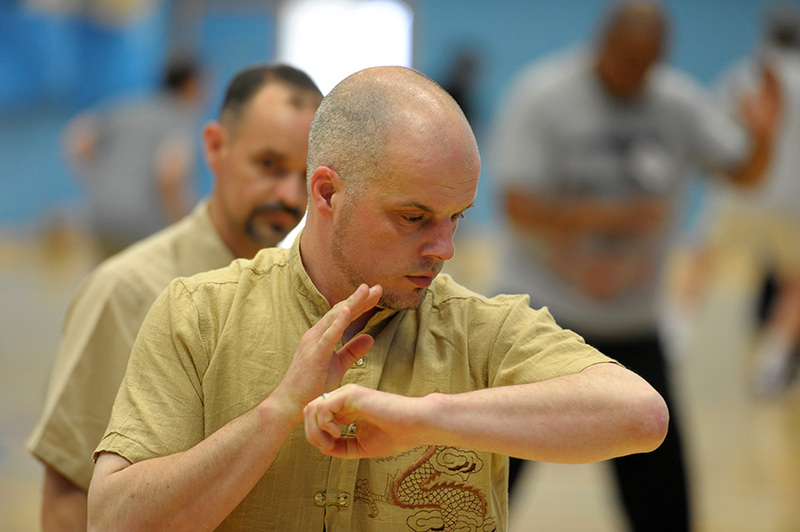 After the basic program is completed, a kung fu student can then choose a specialization. This means that the student chooses, according to his or her nature or development, one of the five animals or another style such as Southern Praying Mantis, Wing Choon, Choy-Li-Fatt, 8 Drunken Immortals, Shaolin Bagua Palm or Monkey, etc. To that end, the student is taught special forms and exercises so that he or she can concentrate on just one style and really develop it to perfection and mastery. Toward the end of the training program internal arts are learned. Here, a student is given an exercise to specialize in. These include iron palm, iron shirt, cosmos palm, tiger claw, golden bell, Cotton Palm etc.Experience with weapons follows a similar path. Basic weapons are learned as a first step and include the staff, saber, sword, halberd, and the three-section staff. One can later concentrate on one weapon, or specialize in a more exotic weapon such as the Chinese stool, umbrella or hand fan, to name a few. Philosophy is also part of the training. Here the student is taught how to take advantage of Shaolin tactics and strategies in everyday life. Avoid your opponents strength. When there is form, strike the form. If there’s no form, chase the shadow.